“Better than New!” Completely move-in ready, and in excellentcondition nestled on an oversized corner lot! 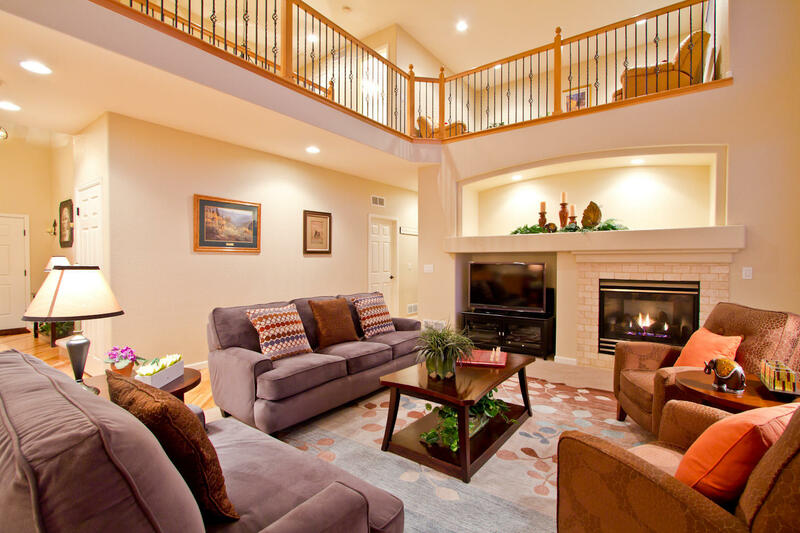 3 Bedrooms+Study or Non-Conforming 4th Bedroom+Loft and 3 Bathrooms. 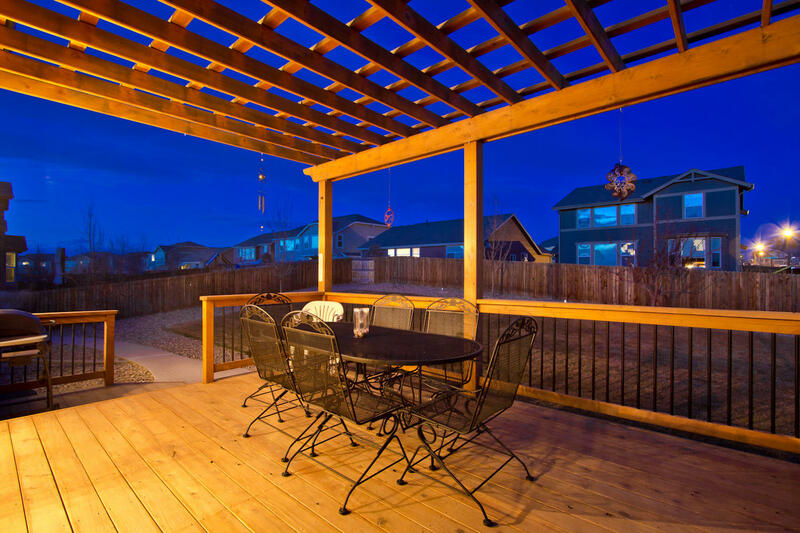 Customized Spacious wood deck & pergola off the back, full back yard sprinkler system. Enjoy the spacious Master Suite with the 5 piece luxury master bathroom, all oil rubbed bronze faucets, hardware and lighting throughout, wrought iron balusters and 42inch cabinetry with roll-outs! Get ready for a master walk-in closet that truly could be another bedroom! Load in the larger vehicles or your outdoor Colorado toys in this spacious Oversized 3 car garage with 8ft. doors! Beautiful Main floor study or non-conforming 4th bedroom. Solid Hickory Floors laid at a diagonal – for a gorgeous look and feel, SLAB Granite countertops, full Travertine tile backsplash, Stainless Steel Gourmet Kitchen appliances w/ double wall ovens & cooktop, Very open with 18ft high ceilings & 2 story picture windows, & energy efficient Tankless HotWater Heater! 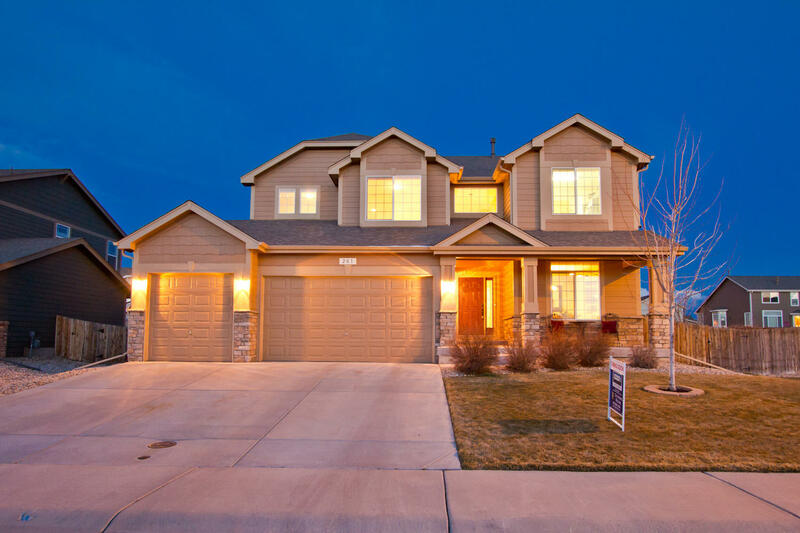 Built in 2008 with 4,029 total square feet huge unfinished full basement, and 2,678 finished! Complete with Mountain views from the top floor looking west~! Setup your showing now!